Namita Thapar is a graduate in Commerce from the Pune University. She is a Certified Chartered Accountant from the Institute of Chartered Accountants of India and received her MBA from The Fuqua School of Business in 2001. She is currently the Executive Director of Emcure Pharmaceuticals, a 700M USD company that her father founded. Namita is also involved in the HR and CSR activities at this family business. Prior to returning home to India, Namita worked in the U.S. for Glaxo and Guidant (now Abbott) in various finance roles. Ms. Thapar is also the Founder and CEO of Incredible Ideas ltd, a franchisee of Young Entrepreneurs Academy, USA, which brings innovative entrepreneurship education to middle and high school students in India. YEAIndia launched in Delhi and Mumbai in August 2016. 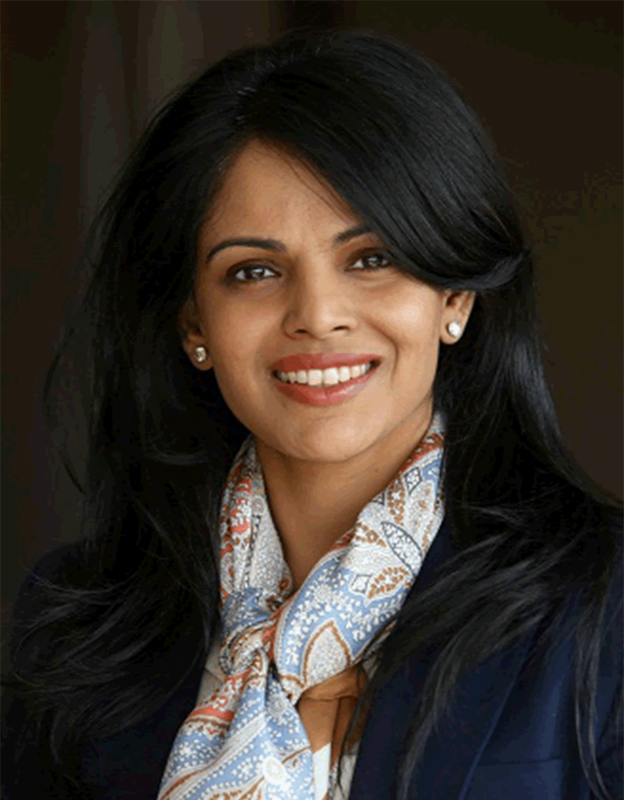 Namita serves on the Board of Finolex Cables ltd. and is an active member of Young Presidents Organization. Ms. Thapar is married to Emcure’s President of Corporate Development and Strategy, Vikas Thapar, and they have two beautiful children.